« Conor Oberst + Ben Kweller = EPIC LOVE. OK, so I haven’t been hating much recently, because I do love this town. And I was actually going to come on here and love, but I’m afraid the hate overrides my love at the moment. 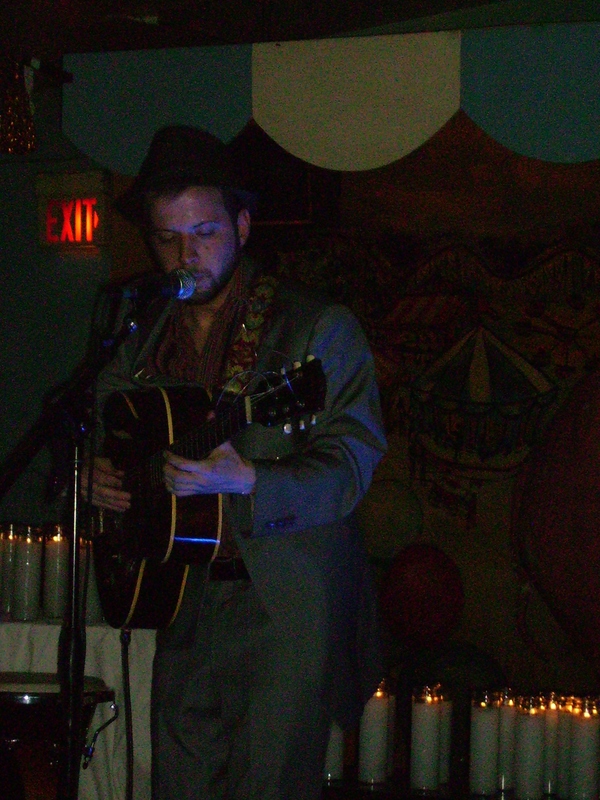 Ethan Kennedy playing at the Carousel Lounge. I went to the Carousel Lounge tonight to watch one of Austin’s brilliant local musicians, Ethan Kennedy. He was absolutely amazing. . .but the people up at the bar watching the Tech game were less so. Bar manners, folks. I understand you want to get out and enjoy yourself during a football game, but Ethan was actually drowned out a couple of times by the hooting and hollering (and he had a microphone!) Also, he was recording the performance, so now, scattered throughout, there will be random “Come on! !”s and whatnot. SO rude. It isn’t as if the people didn’t know Ethan was playing. . .there is no partition in the club between the stage and the bar. People need to be more mindful of their surroundings, and more respectful of performers. I have had other experiences where audience members have been really rude during performances, so let’s keep this in mind as we head out to enjoy a Saturday evening, Austin. ok here’s that little spider story i was talking about in class today. be sure and read it all the way through it’s hilarious!